I think it’s the little things that can get you. When you’re planning a wedding, you know you’re going to need things like a dress, a venue, an officiant, and probably things like a photographer and food. But what about all the odds n’ ends? 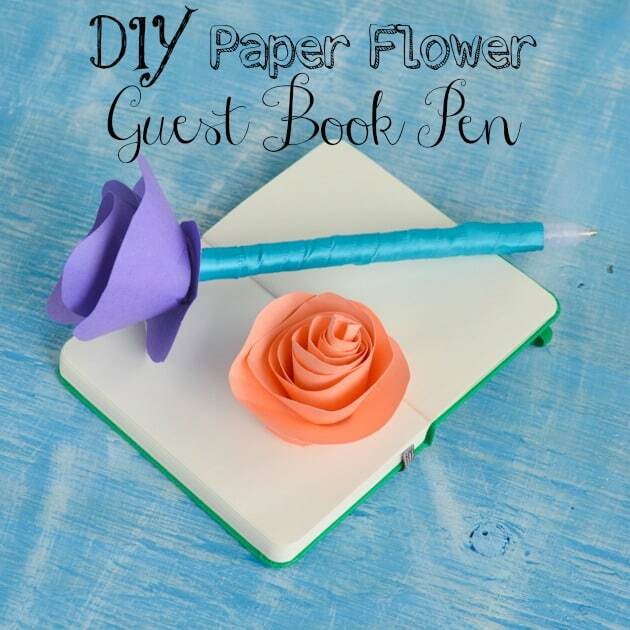 That’s how this project to create a DIY paper flower guest book pen was born. Sure, you can buy a similar handmade pen for $10-$20 (though you can pay more if you’re determined). That’s not so bad, right? But what about all the other little things? A handful of under $20 purchases can add up fast to suddenly become a couple hundred dollars worth of expenses. 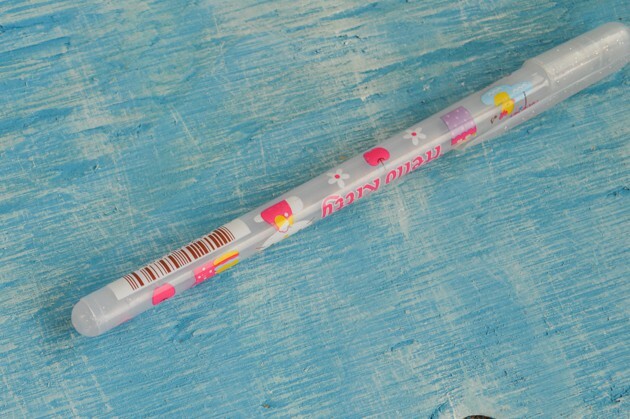 This pretty little pen is designed to save you from at least one of those “little things.” It’s a great complement to a fancy guestbook, or a good way to spruce up a more simple one. 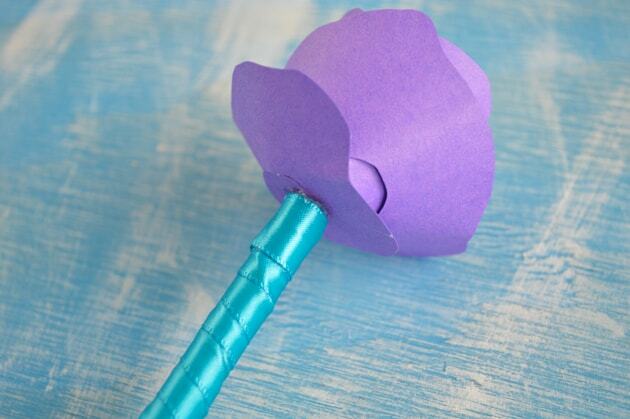 I included instructions for making your own paper flower, but you can just use a silk flower, instead, if you want something a little more formal. Either way, it’s quick, pretty easy, and a great way to save you a little bit of cash. 3-5 feet of ribbon, depending on its width. I recommend using 5/8″. When selecting a pen, you should look for one that is round and either has an end cap you can remove or is made from soft enough plastic that you can snip the end off. Most gel pens meet these requirements, but there are plenty of other inexpensive options. With regards to the ribbon, I think it’s best to not cut it ahead of time. Simply work off the spool and then cut it when you need to. This saves you from wasting ribbon unnecessarily. 1. Begin by removing the end cap from your pen, as shown below. 2. 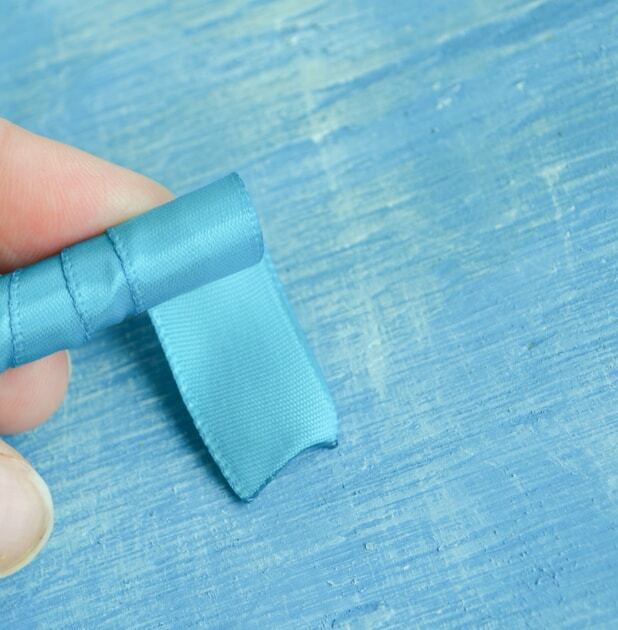 Carefully melt your ribbon’s free end with a lighter to prevent it from fraying. 3. 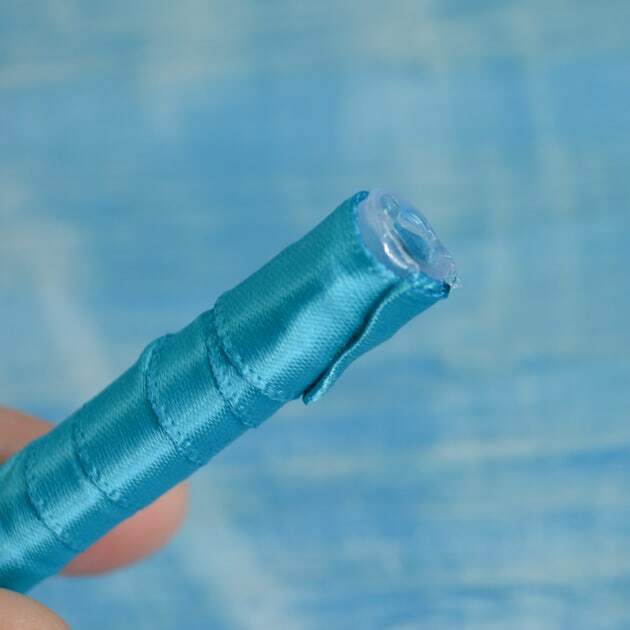 Fold the melted end under slightly then, using your hot glue or craft glue, glue it to the pen’s bottom so that the melted end is concealed. I like to glue the fold in place then make a single wrap of ribbon around the pen to completely cover the attachment point. 4. Continue wrapping the ribbon up the pen. You may need to practice wrapping several times in order to get the ribbon to lie fairly flat and look nice. 5. 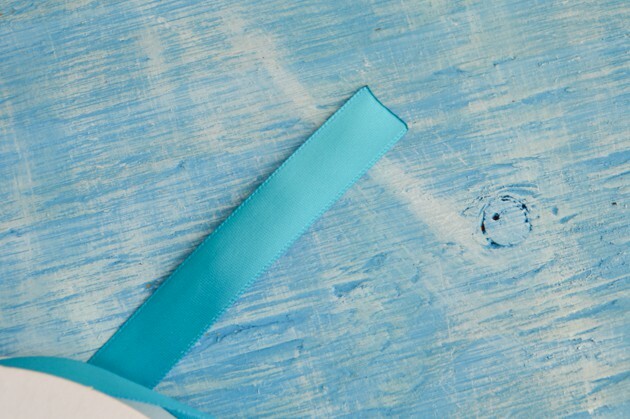 When you reach the pen’s top, cut the ribbon free from the spool, leaving an inch or so extra. 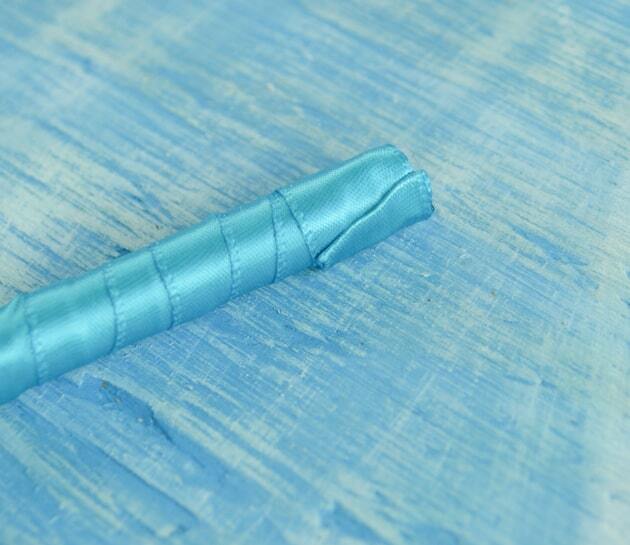 Melt the exposed end, turn it under, wrap the remaining ribbon around the pen, and glue the ribbon in place. 6. 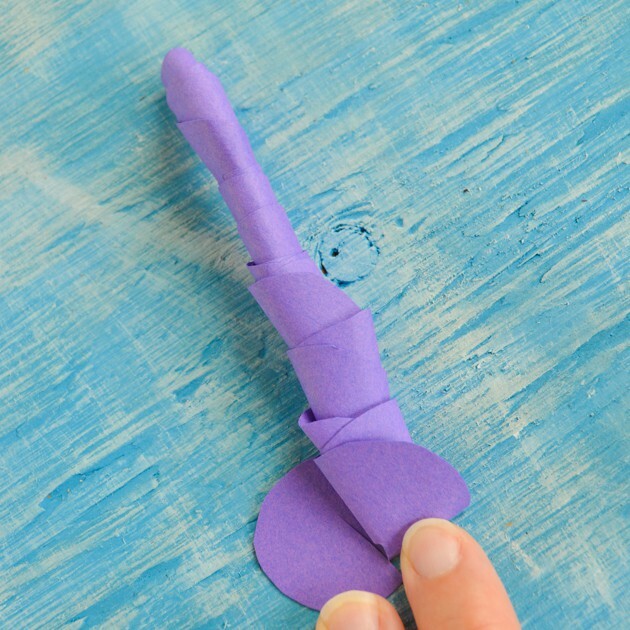 Now that your pen is prepared, it’s time to make the flower! All you need for the time being is your 6″ square of paper and your scissors. 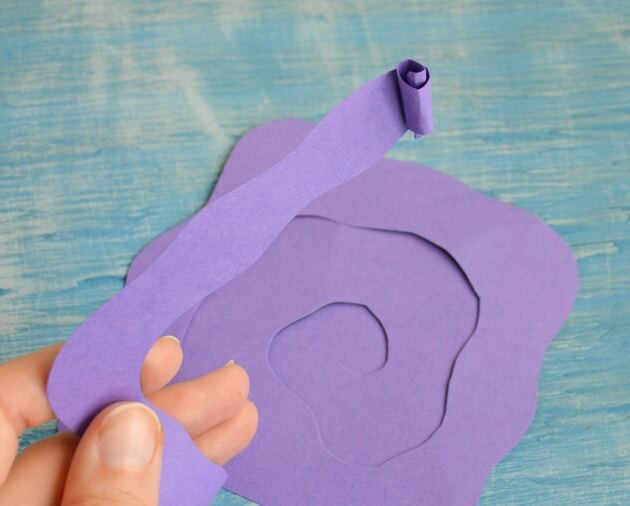 Simply cut the paper in a large spiral. About three loops usually looks best – any more and the flower tends to look small and strange. 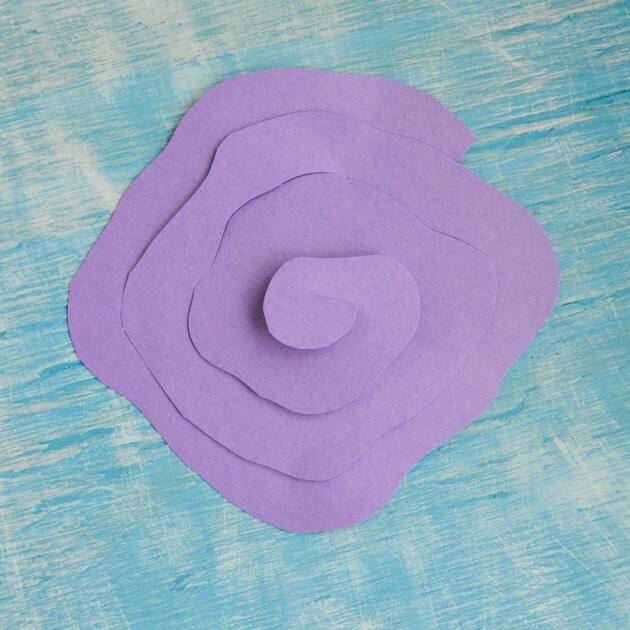 If you make the edges slightly wavy, as shown, the flower will look more interesting and natural. You can trace the spiral with a pencil first, if you’d like, but it’s ultimately easier just to cut once you get the hang of it. 7. Begin rolling the spiral into, well, another spiral. Start from the outside end and roll inward. 8. As you roll, try to keep the ends roughly even, rather than letting the it telescope out like this. Don’t do what’s in this photo! 9. Arrange the coils until you’re satisfied with how they look. 10. Fold the tail end of the coil to form a flat base and use your glue to glue a few of the coils down to help the flower hold its form. 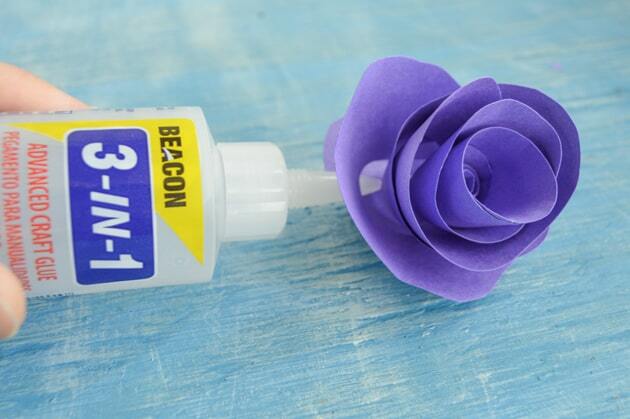 You’ll probably want to gently hold the flower in place until the glue is dry/cool. 11. 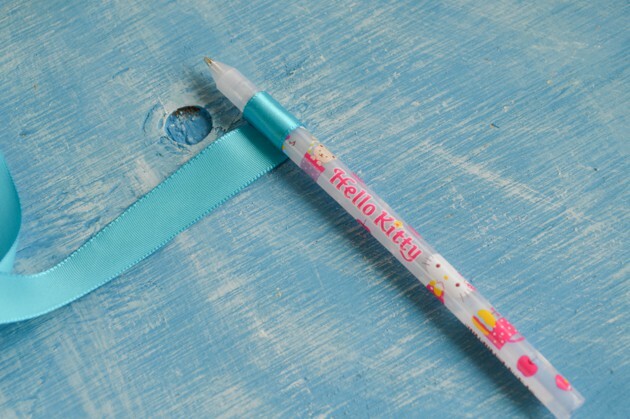 Place a ring of glue around the top end of your pen. 12. 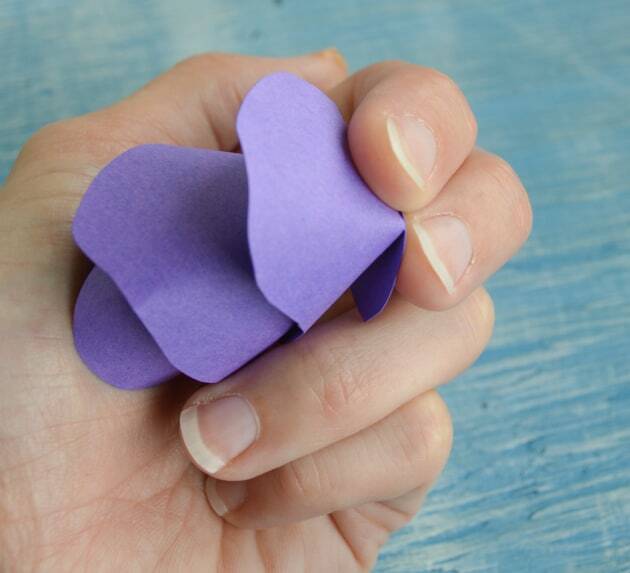 Place your prepared flower on the glue and hold in place until the glue has set. 13. Enjoy your awesome new pen! 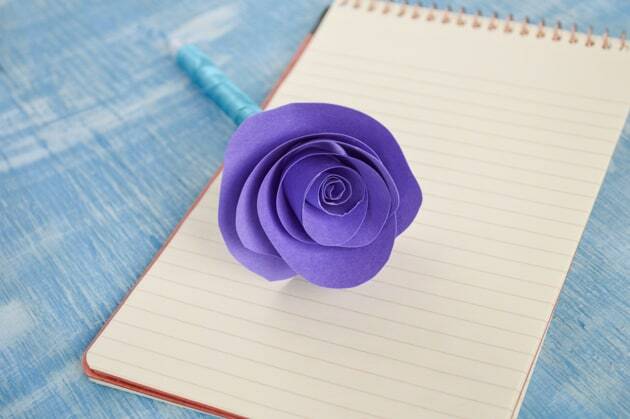 Of course, you don’t have to turn these flowers into decorative pens – you can just make them for table decoratoins. 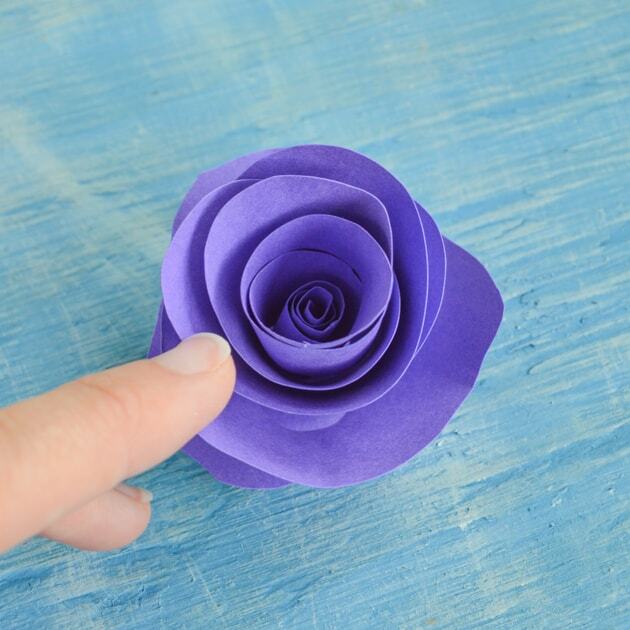 Or, if you want to wrap a pen but use a silk flower, simply snip the flower off its stem near the flower’s base and glue it in place as you would the paper flower in step #12. Of course, you can add extra embellishments like more ribbons, lace, feathers, or rhinestones. It’s your pen, so do what you want! I can’t wait to share photos the chains of paper flowers, but I’m not putting it all together until July. I don’t want the flowers to get smashed in the mean time! So, until then, I’m cutting a few out at a time and storing them flat. I’m really excited, though, and will be sure to share photos once I have them! 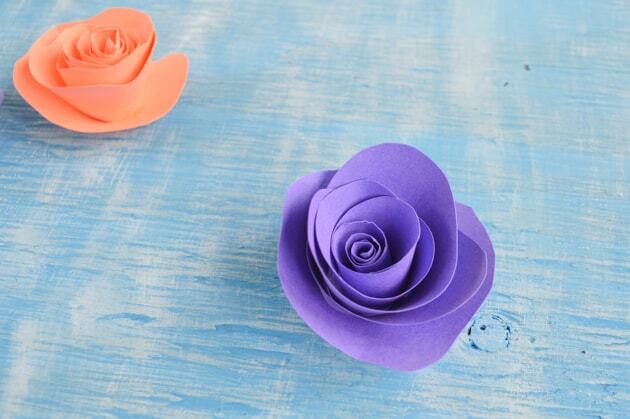 What’s your favorite way to use paper flowers? These are so pretty! I love the simple paper flowers. In fact, I made a piece of wall art for my daughter before she was born using this same technique. 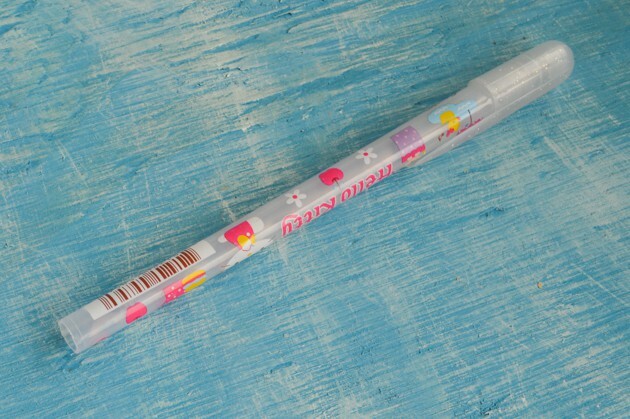 How fun that you used it for a pen! How cool! I bet they make beautiful wall art. Thanks so much or stopping by!